There’s something innately human about wanting to fly. The idea of soaring through the skies, high above all the problems of the world is a common scenario that many people dream of achieving some day. 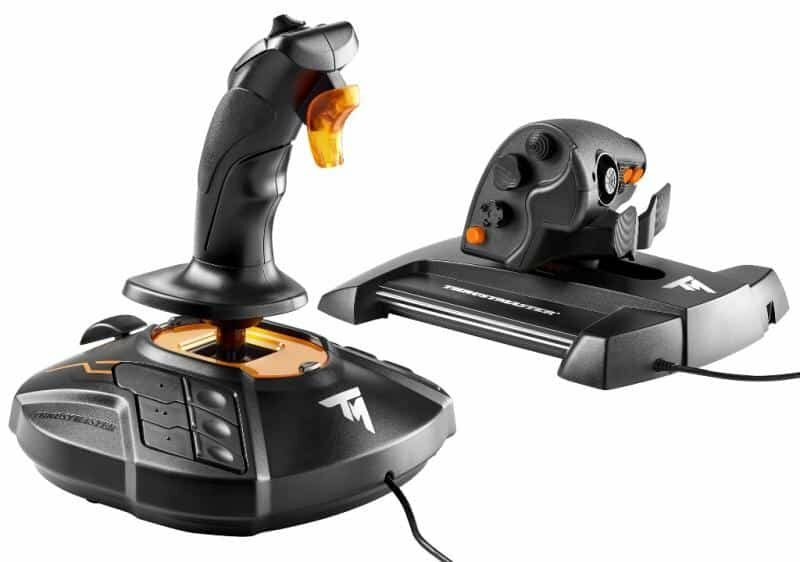 While most people can’t become commercial pilots, or fly on their own, there are companies trying to capture that feeling of flight like Thrustmaster with their T16000M FCS Flight Stick. 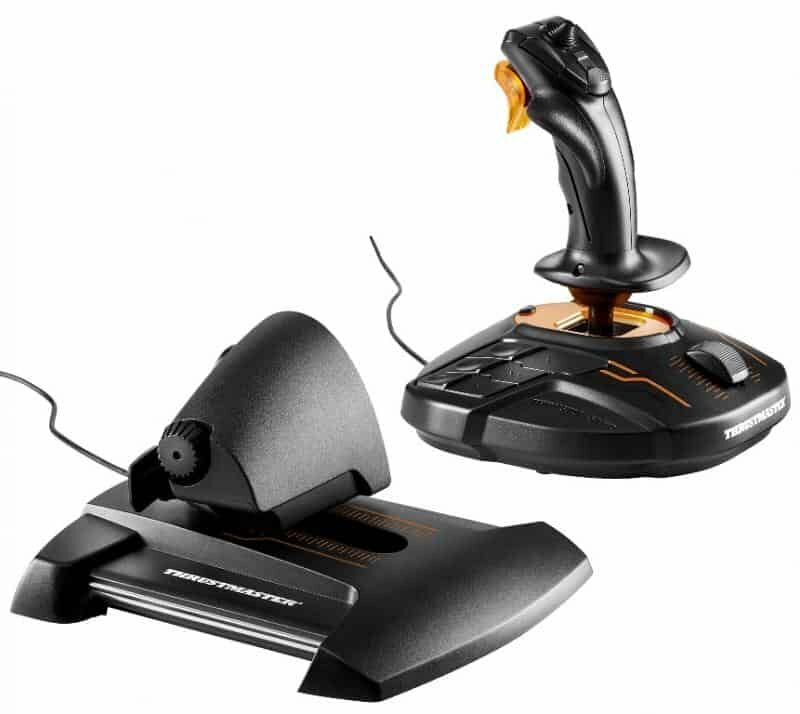 The combo pack that I reviewed comes with the T.16000M joystick as well as the TWCS throttle. Visually, both peripherals feature a black paint job, complete with orange highlights that give them a noticeably futuristic feel. 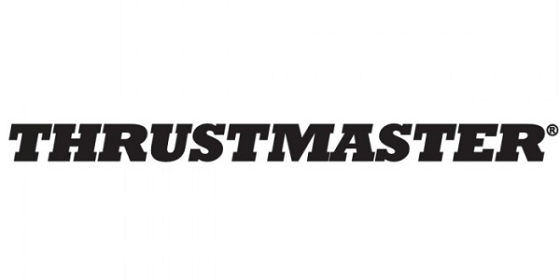 As with basically all Thrustmaster products, you have to download drivers at Thrustmaster’s official site before jumping into the game, but they thankfully don’t take long to download. That being said, once you have the drivers installed you still have to map the control inputs on the controls individually, which gives this package a bit of a learning curve. This learning curve is compounded as many of the best free, and paid flight sims are not available in English, making it harder to set up. Altogether, there are over 50 commands that you can map to the controllers and it can be very intimidating for those new to the world of flight sims. Thankfully, once you do go through the mapping process you’re set for life, as the T.A.R.G.E.T Command Centre drivers allow you to create and save profiles for different games. This helps take the sting out of the lengthy setup process and once you get past it, using the flight stick is a joy. Right from the first rotation, the T6000M feels satisfying. The front trigger is very clicky and responsive and it’s completely ambidextrous thanks to a button on the bottom that toggles between a right-handed and left-handed setup. It also has 3D Hall Effect magnetic sensors located on the stick, which helps make movement very exact and satisfying. 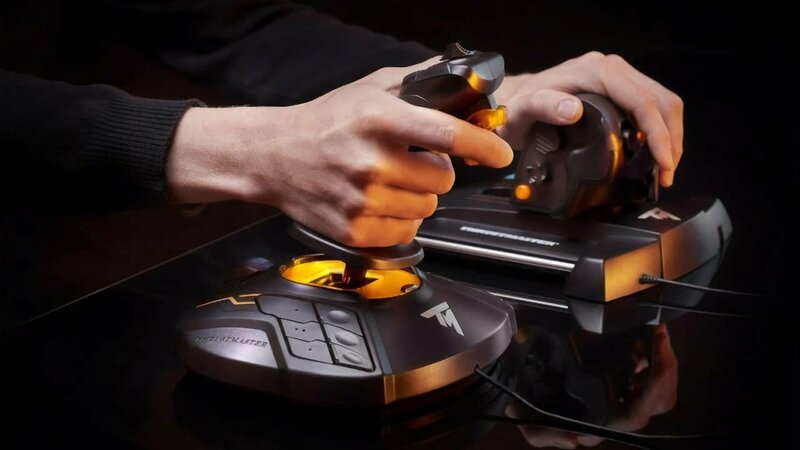 Whether you’re playing a sim-heavy game like Microsoft Flight Simulator or a more arcade-oriented experience like Dogfighter, the joystick is responsive and just as importantly it’s comfortable. I was able to fly for two-plus hours at a time without experiencing discomfort from the controller setup, and it feels great on longer flights. Unfortunately the same can’t be said for the throttle controller, as it’s more of a mixed bag experience. Moving the slider forward is a janky and stiff process, and is noticeably worse than the smaller slider on the joystick. You can modify the resistance on the slider by unscrewing a nook on the bottom, but this does little to fix the issue. On the plus side, each individual button is responsive and the joysticks have a comforting cradling sensation that makes them satisfying to operate. The joysticks especially respond well and help make the disappointing slider more manageable. They inputs are so satisfying that I found myself using them outside of the game as a sort of giant fidget cube, and Thrustmaster really nailed that part of the design. Price wise, the T16000M FCS Flight Stick costs $150 CDN and doesn’t come with any games included. That being said, there are a considerable amount of quality free flight games that should be able to provide hours of enjoyment to all types of pilots. Standouts in this regard include Wargaming’s World of Warplanes, which is still in early access, and War Thunder which is a fast and frenetic war experience. There are also browser-based games like GEOFS which require no downloads so you can jump right in the action. Overall, the Thrustmaster T16000M FCS Flight Stick is a good flight stick combo that balances comfort and intuitive controls. It is unfortunately held back by a stiff throttle, and a bit of a learning curve, but the joystick attachment and satisfying inputs work well enough to forgive the shortcomings. This is a good mid-tier flight stick worthy of more than a simple fly-by. While the throttle sputters, the joystick soars, delivering an intuitive and comfortable flight experience, good for beginners and seasoned pilots alike.